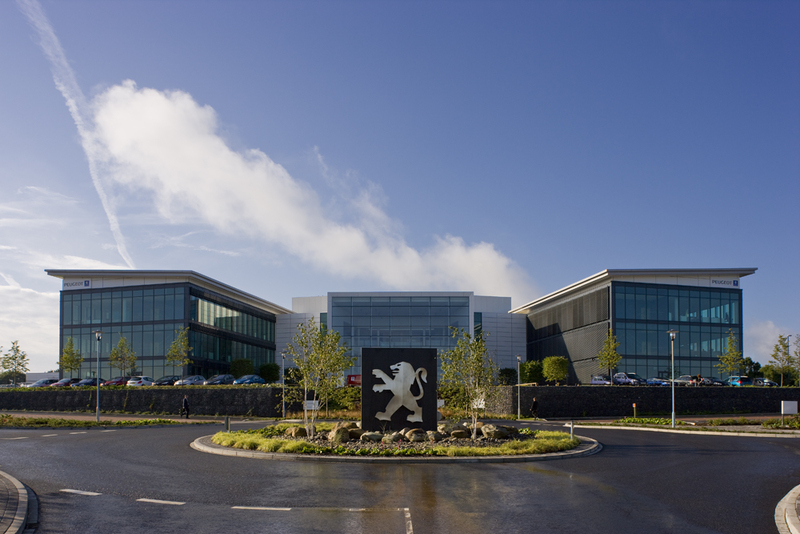 Stephen George & Partners was delighted to be appointed masterplan architect for the redevelopment of Peugeot Citroën’s operations in Coventry. 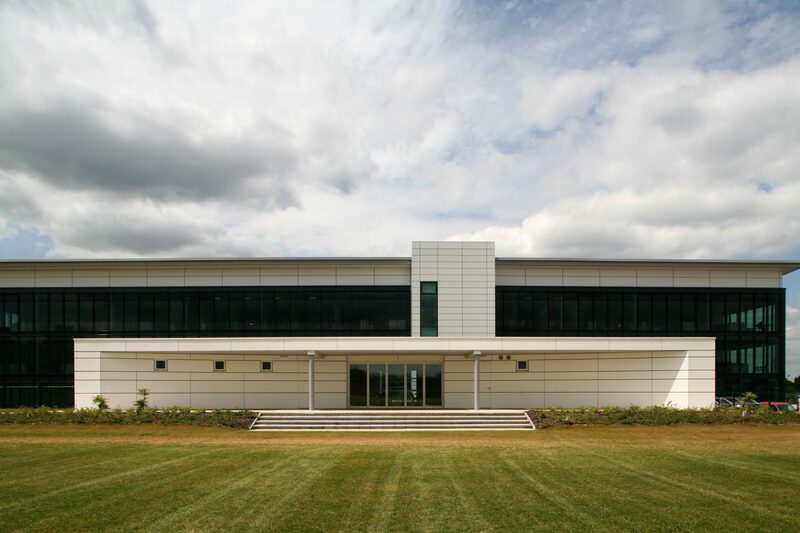 12,450 sqm (134,000 sqft) headquarters, 5,575 sqm (60,000 sqft) technical and service training centre and 2.44 ha (6.2 acre) sports facility, including pitches and gymnasium. The new headquarters employs geometric forms and extensive use of glazed elements, allowing the penetration of natural light directly into the atrium. Motorised external blinds reduce the glare and are controlled by external sensors that respond to the path of the sun. 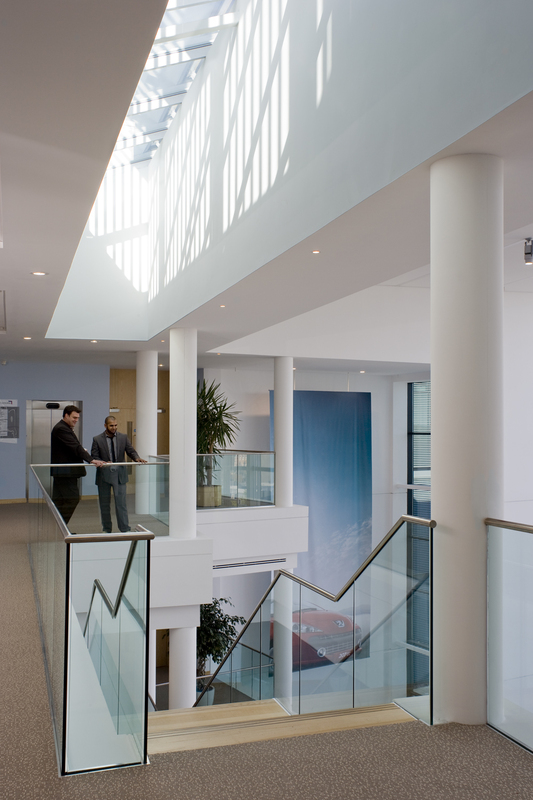 The office accommodation is arranged in two wings either side of a central core, leading to a winter garden. A strong north south axis stretches from the headquarters, through the heart of the central commercial core, to a key multistorey development at the northern end of the site. It is hoped that the development of this scheme will help the regeneration of the surrounding areas and bring a positive new energy to the local community.